Successful executive recruiters are keenly aware that there is a huge difference in filling an open position and finding top-tier talent. The former carries a high turnover risk; the latter contributes to bottom-line profitability and the achievement of business objectives. 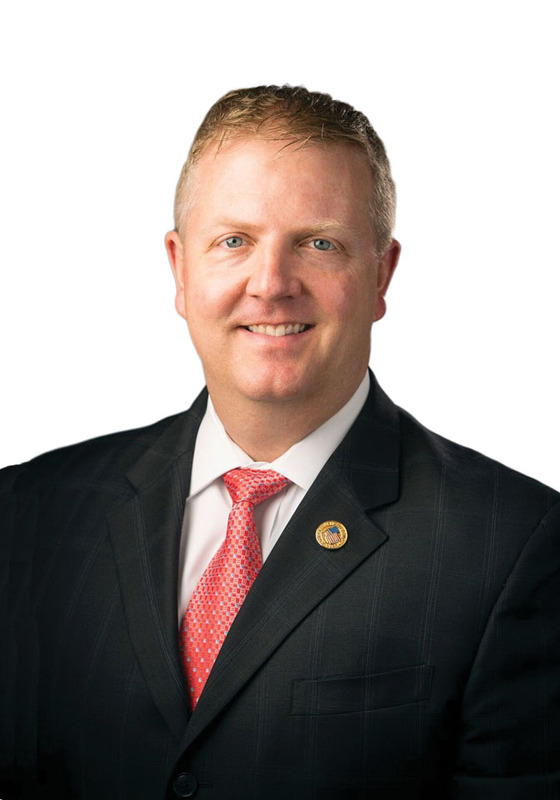 Nashville native Martin Plumlee had more than a decade of experience in executive-search and management consulting when he and a business associate launched Plumlee & Associates in 2012. He was motivated to apply that experience and knowledge in creating a customized approach to executive search and talent management. He was aware that at 40 years of age and with a young family counting on him, he was coloring slightly outside the proverbial lines of the textbook recipe for immediate entrepreneurial success. 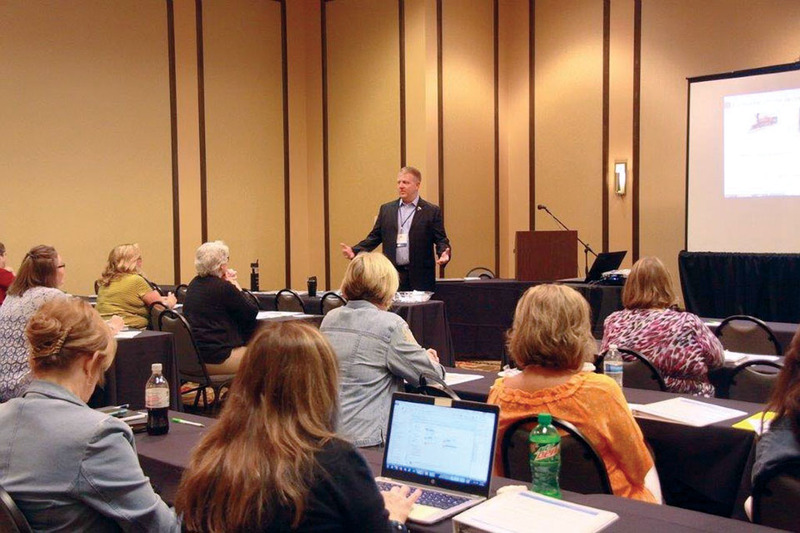 Martin Plumlee presenting to the TWSB Conference in Knoxville TN on August 12, 2016. The Plumlee team understands that no two organizations, people, or situations are alike. For that reason, the firm’s professionals deliver programs that don’t use off-the-shelf solutions, but are instead highly tailored for each individual client. In turn, their expert transition coaches tailor those programs to address the individual transition candidate’s situation and needs. Plumlee’s reputation is founded on that approach, and it has proven to help the firm’s clients preserve their reputations as well. The Plumlee team of Account Executives and Executive Recruiters collaborate with clients to identify, access, and provide highly skilled white-collar professionals across multiple functional areas: leadership, sales and marketing, finance and accounting, and human resources. The firm’s industry expertise is extensive, ranging from financial and professional services to healthcare and manufacturing/distribution. Plumlee & Associates takes great pride in operating with the principle of “quality over quantity.” Realizing that company cultures vary with each business that turns to them for assistance, the firm’s Executive Recruiters work diligently to understand each client’s unique needs. The Executive Search practice began serving clients in Nashville and across the Middle Tennessee region. Its talent footprint has now expanded into Arizona, California, Colorado, Missouri, Minnesota, Georgia, Kentucky, Florida and Pennsylvania. Currently, the firm is in negotiations with multiple clients to expand into another five states. The Talent Management business is affiliated with Career Partners International, a global leader in management consulting. Plumlee’s focus area is the Middle Tennessee region. With clients leading teams in the Midwest, Rocky Mountains and across the Southeast, the positive impact on executives and middle management is rapidly growing on a broader scale. Michele Knight serves as the Business Development Director for the portfolio of offerings offered in partnership with Career Partners International. Her background as an entrepreneur and certified executive coach translates into short-term engagement and long-term retention gains for Plumlee’s clients across the Nashville region. Relying on the team’s expertise and an unwavering focus on client satisfaction, Plumlee & Associates has amassed an enviable record of success compared to the national averages. Plumlee clients benefit from the firm’s 90 percent completion rate versus the industry average of 65 percent. Plumlee searches average 56 days to fill against the industry average of 120 days. And the firm’s retention rate is an astounding 93 percent after one year, a direct result of Plumlee’s focus on finding candidates that are the right cultural fit for the client. Another source of pride is Plumlee’s advocacy of hiring our nation’s heroes: military veterans. A graduate of West Point and a veteran of Operation Enduring Freedom, Martin Plumlee currently serves in the Army Reserve in Nashville. The firm recently hired a military veteran and others are being recruited to join the business in the near future. In addition, the firm’s associates volunteer annually in a variety of programs that benefit the local community. 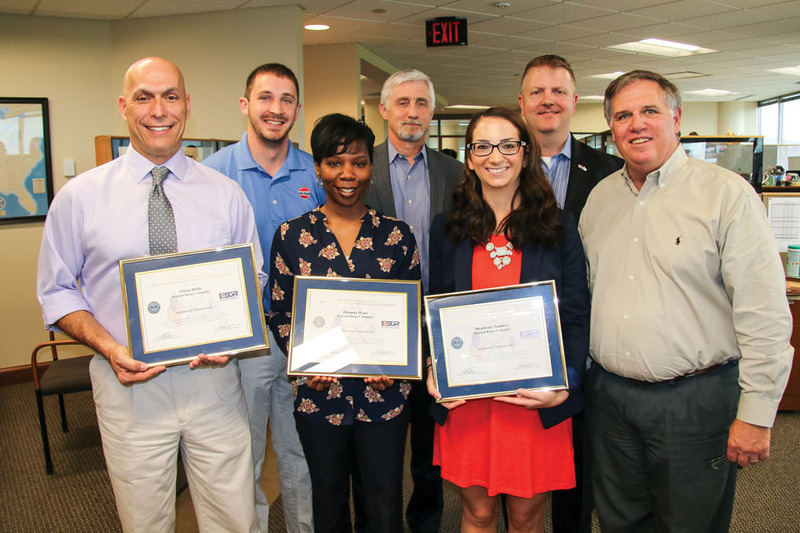 Martin Plumlee leads by example by serving on the Board of Directors with Habitat for Humanity and REBOOT Combat Recovery.